Need a splash of color for your back-to-school merchandising? Have an oversupply of color crayons for the Fall season? 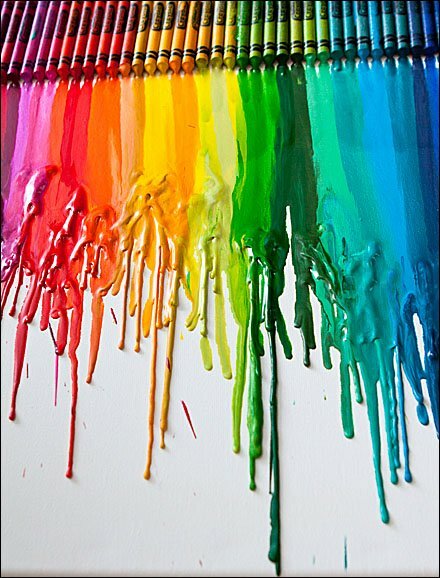 Combine the two and create your own rainbow-like Glorious Crayola Meltdown Visual. This concept courtesy of Meg Durksen’s “Whatever” site, and of course famous Crayola raw materials. 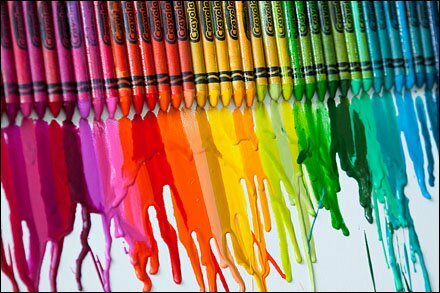 I wonder what the precise melting temperature of a crayon is? Obviously high enough not to melt in your hand or Summer heat, yet low enough for hairdryer meltdown as shown. CLICK the thumbnail for another Glorious Crayola Meltdown Visual view.